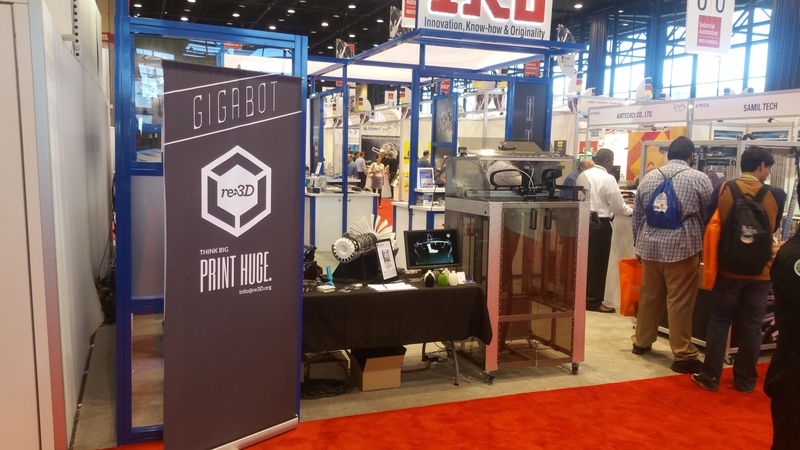 A few months ago, IKO International, asked re:3D if we would like to showcase Open Gigabot at their booth at International Manufacturing Technology Show (IMTS) 2016 in Chicago. It would feature their linear rail system incorporated into our printer design, and would allow us to showcase our 3D printers among some of the world’s top manufacturing companies. 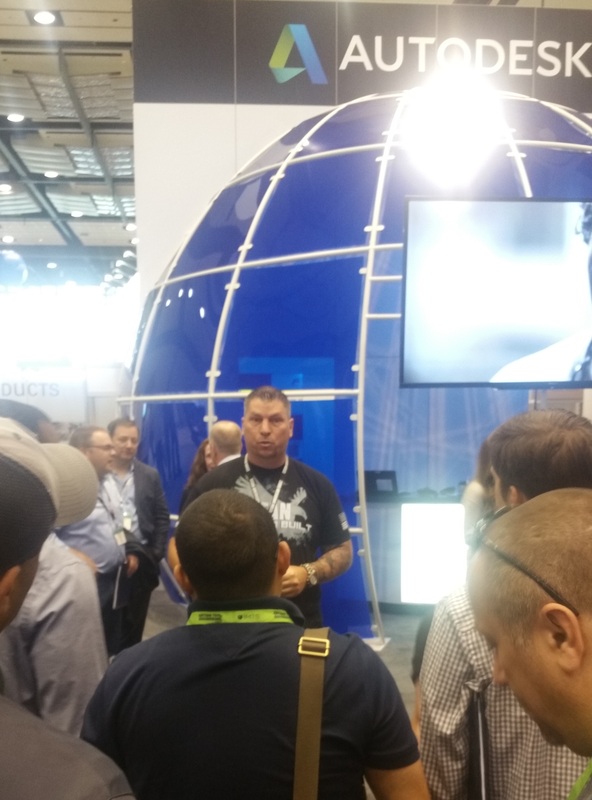 Naturally, re:3D was thrilled to accept the opportunity to display at our first IMTS. I have been running the machine shop at re:3D for just over a year, so my experience with 3D printing is still rather shallow, but my experience in manufacturing spans almost 25 years. And because I have a passion for mechanical design and manufacturing, IMTS is to me what Santa’s Workshop is to a 6 year old child. 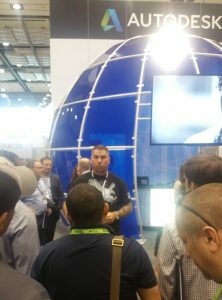 So when re:3D asked me to represent our team at IMTS, I was nervous and giddy all at once. Joining me to man our booth would be Jeric, an engineer from our team well versed in 3D printing. (and born around the time I entered the manufacturing industry) I was glad I would have his knowledge base to learn from and lean on during our time presenting Gigabot. 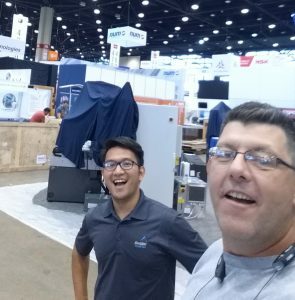 With only 2 of us at the largest manufacturing show on this big blue marble we call home, it was very difficult to break loose from the re:3D display to visit other booths, and soak up some of the amazing displays being shown throughout the 1.37 million square feet of display space. We might slip out periodically, one at a time, to view a few booths close by, but for booths further away, we would need to arrive a couple hours before the show opened to the public, so that we could freely view as much as time would allow. 10) BobCAD-Cam – There are a lot of companies in the CAD/CAM market. Most, are simple CAM packages which aid the user in creating quick code for simple machine operations, and are reasonably inexpensive. 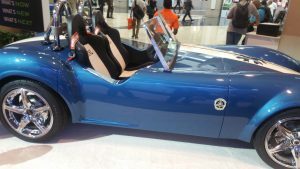 A few, such as Autodesk, CATIA, Mastercam, and ProEngineer have gained a reputation as robust software packages capable of handling the most complex modern machine programming toolpaths in multi-axis environments. These companies also charge a premium price for their packages. And then there is BobCad. The best of both worlds. A high functioning CAD/CAM system at a price even a small business owner can easily manage. Perhaps I am biased, as I use BobCAD version 28 in our shop at re:3D, to program the machines that make each part for every Gigabot 3D printer we sell. 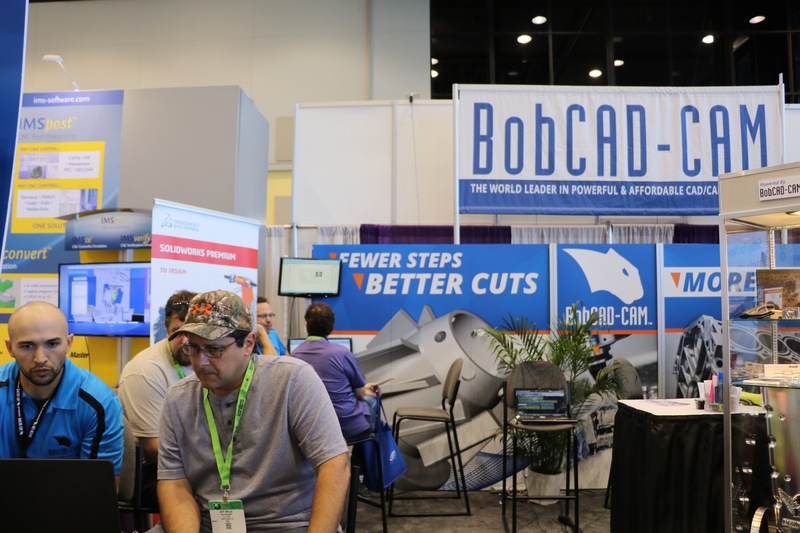 But there is no bias in saying that BobCAD has come a long way, and can compete with the big players in the CAD/CAM market at a price that makes the cost of other software packages seem bloated. And it is a standalone software. Create your solids, straight to code output in one software. The folks at BobCAD had a relatively small booth in comparison to many of their competitors, but what it lacked in floor space, it made up for in content with a great staff of techs giving demos, and plenty of free swag. No nonsense high end results, and priced for everyone. Enough said. 9) Autodesk – Autodesk is well known in the manufacturing industry as a leader in design software. So it is probably no wonder that they made my top 10. However, I did not pick their booth on the merit of their software, but rather for the content of their presentation. The Autodesk booth was the first thing you saw as you entered the East building from the skybridge. A massive booth among other software companies, Autodesk designed their area as a presentation stage. And it drew in the crowds all week as they did presentation after presentation on every topic you can think of in regard to manufacturing. (The free beer and coffee may have helped as well) But the one presentation that drew me in the most was a speech and Q&A with none other than Titan Gilroy, owner of Titan American MFG. For me, Titan is a true American success story that exemplifies the spirit of manufacturing excellence, and the drive to constantly improve our process. The desire to continually learn and adapt to an ever changing industry. And Titan shares his motivation and knowledge with the world via Youtube, as well as other appearances such as this. Having Titan speak from their booth was, in my opinion, a wise choice to connect to a broad demographic of manufacturers, big to small, and young to old. I made sure to get a signed poster for our team as well. 8) DMG Mori / Mazak – This one was a split decision. Even before heading to IMTS, I had heard that Mazak had something special on the horizon. And upon arrival, I quickly heard that DMG Mori was also following the same path. So a visit to each booth was a must. I remember back in 1997 I attended a tool show in Houston where I was first exposed to 3D printing. The concept absolutely blew my mind. But as additive manufacturing began to gain more attention, I heard the rumbling and grumbling of people in my industry doubting its validity in the manufacturing environment. As time passed and the technology expanded, people on the manufacturing floor began to fear that 3D printing was progressing so much that they believed it would end the need for machinists, forcing us into an early retirement, and the end of a career field. So my visit to both the Mazak and DMG Mori booths was a calming to all the fears of the past, as I witnessed the first two machines to meld additive manufacturing with subtractive manufacturing. Each company presented a mill center capable of CNC milling combined with 3D metal printing. 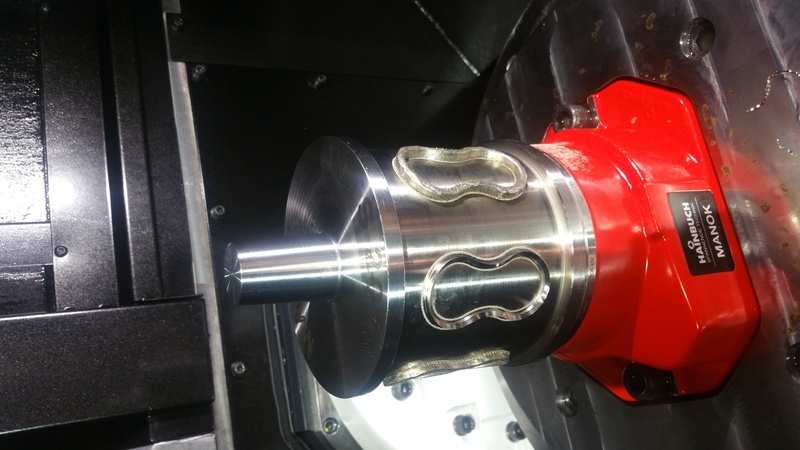 These two machines are not eliminating machinists, but instead, redefining machining, just as the CNC machine did to conventional manual machining. Barriers are being broken down, and new possibilities are being realized. Parts that were previously impossible to make are now a reality. Material requirements are being decreased. These two booths excited me about the future of our industry, and I left envisioning what will be possible tomorrow. 7) Datron – This booth made my list, in spite of my previous bias. 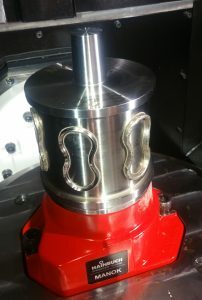 I had seen internet postings about this relatively new company, and their milling machines. I quickly formed an uneducated opinion that they were selling snake oil. So, when I visited their booth I was bound and determined to prove to myself that they were selling a toy, not a tool. I could not have been more wrong. Yes, it hurts a bit to admit I prejudged Datron, but I also feel it is necessary to set the record straight. Here is a new company that took the basics of what a milling machine does, and threw the standard out the window to design something entirely new and fresh. From the 6hp spindle turning 60,000rpms at a feedrate of 866ipm, to the ethanol coolant mister, to the most innovative vacuum chuck I have seen yet, they did not fail to impress me. Add in a huge touch screen control that has no physical keyboard, and a camera based part zero system that makes setups almost instantaneous. Have they created the perfect mill? No. The machines still have a rather short Z stroke, and a very limited tool diameter capability. But what they have created is totally outside the box from traditional mill design. I do think their asking price on these machines is a bit high, but all things considered, I was pleasantly surprised with this company. Way to go Datron. I am now a big fan. 6) Oak Ridge National Laboratories – When we speak of 3D printing, it is often difficult for people to envision a legitimate use for it. And most people instantly think of the tiny desktop printers that make tiny knick knacks to display. We at re:3D envisioned something bigger. A machine capable of building real world useful items and accessible to the masses. And then there is Oak Ridge National Laboratories. They took that concept to a whole new level. Upon entering their booth my eyes caught not only a Jeep on a completely 3D printed chassis, but a Cobra as well. Both are fully functional full sized vehicles. This was real world implementation of fused filament printing at it’s finest. But then it got better as I saw the office right behind them… which was also 3D printed. Yes, a full sized printed office structure. When you talk about making a big first impression, this should be the litmus for said impression. I am really looking forward to what they do next. 5) Stratasys – For people involved in additive manufacturing, Stratasys is a household name. They have been making impressive machines for years. Although a bit pricey, they are a solid company with a quality product and great features. 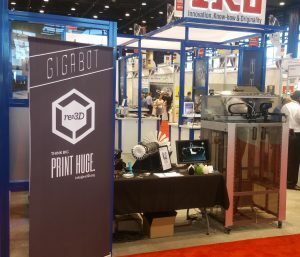 At their booth this year, we got a chance to see a new printer utilizing a 4th axis rotary as well as a multi-axis printhead. This platform allows them to print parts without the worry of support material or overhang, and, less importantly, is mesmerizing to watch. Gone is the concept of extruding layers in a single plane. I am told that they had a printer there that was capable of printing infinite length prints as well. I wish I had seen that and could report on it as well, but I apparently had tunnel vision aimed in on the multi-axis platform the entire time we were in their booth. Sometimes you miss stuff. It is a huge show. Even without seeing that printer, I felt this booth deserved serious props for WOW factor. 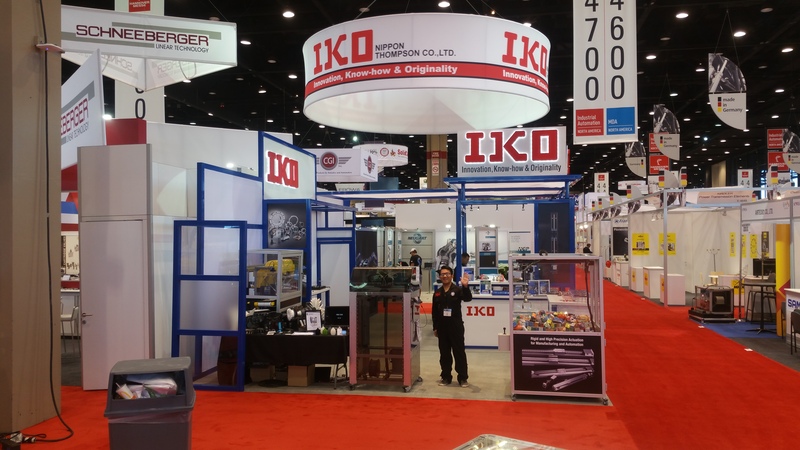 4) Fanuc – This one makes the list, not only for the Fanuc booth itself, but also for the massive presence their product had in so many other booths, including the IKO booth we were showing Gigabot in. Yes, if you have been in manufacturing long, you know who Fanuc is. From CNC control systems to robotic arms and delta systems, Fanuc has their hand in everything. 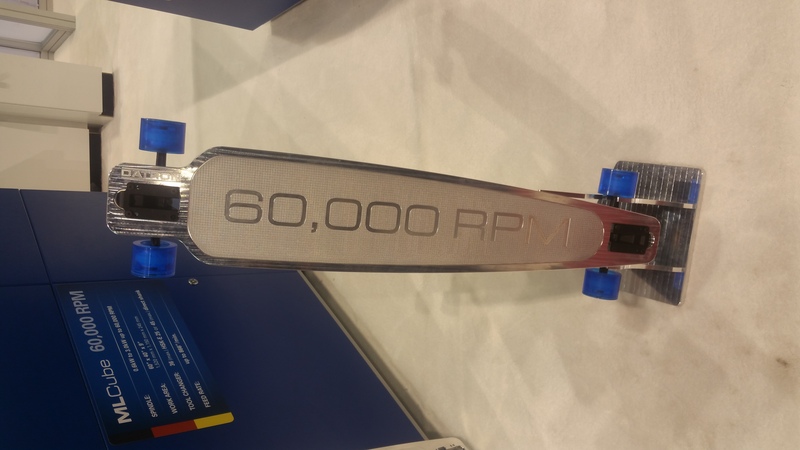 Our booth featured a delta style part sorter that used IKO bearings in its assembly. 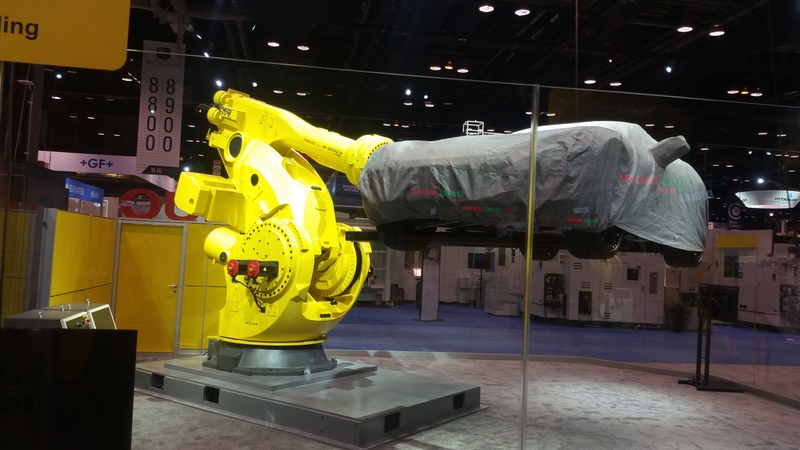 Numerous other booths featured Fanuc robot arms performing various tasks involved with their product. And then there was the Fanuc booth. We witnessed a completely automated production line of mills running swag parts. Robots loading mills for first op, unloading, flipping, and reloading for second op, and then unloading, washing, and delivering parts as a finished product. All aspects of the line were Fanuc products. A fantastic display of the large variety of products they offer. 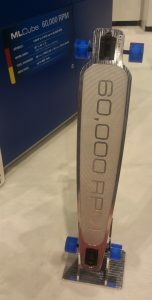 And, of course, I cannot fail to mention the one item that had people talking all week. A massive robotic arm that was holding a brand new Fanuc Yellow Corvette, and manipulating the car all over the back corner of their booth. Yeah, that was a pretty sweet display of dexterity and power. 3) MachMotion / Solidcam – A teamed up booth much like our own, the Solidcam booth was hosting MachMotion for this show. Solidcam is a machine programming software that runs native in Solidworks, and MachMotion is a control company who has their hands in many projects. For the Solidcam booth, they were showing a MachMotion mill control that ran Solidworks and Solidcam at the control, allowing on floor programming in a design environment. Solidcam was also giving away a pretty nice 4 wheel UTV at their booth, which they refused to draw my name for. But I won’t hold that against them. And MachMotion also had one of their control systems on an engraving machine in another booth that made me geek out for a bit. The MachMotion control allowed us to text the machine from any cellphone, at which point the machine would ask us what text we wanted to engrave. Reply with a line of text, and the machine would process our request by engraving our requested text on an aluminum thumb drive. Custom made swag is always the best swag. 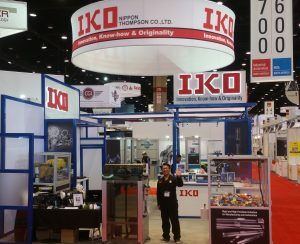 2) IKO International – We cannot make this list without giving a shout out to the company who made it possible for us to attend IMTS in the first place. IKO welcomed us into their booth as a display of their linear rail system at work. We shared space with a couple other machines sporting IKO equipment. But the show winner for IKO… the machine that stole the limelight all week long… a simple claw machine built by a couple IKO engineers and salesmen, utilizing IKO ball screw systems. Loaded with IKO swag such as flashlights, notepads, and Rubik’s Cubes, the line to play the IKO claw machine stayed full all week. We may have gotten a bit jealous that it got more visibility than Gigabot, but in reality, we lined up a few times to play as well. Hey, it was fun. 1) F.I.R.S.T. – For Inspiration and Recognition of Science and Technology – An organization founded by Dean Kamen, had a huge presence on the C hall, and brought in students from 38 states and several countries to be a part of IMTS. This organization also had several activities planned for the students, which helped inspire these young minds to move forward to become the designers and manufacturers who will shape our future. I have to list them as my number 1 pick, as this organization is building our future, and helping our next generation to dream bigger, and reach beyond the stars. Thank you for all that you do.